Scottish pool star Scott Gillespie says he has been recognised in the street since winning the IPA Irish Open title. Gillespie, 33, won last month's event in Belfast and is one of the favourites for this weekend's English Open, the second event of the 2019 Tour. "Now there's coverage from the likes of the BBC," he told BBC Sport. "People are coming up to me and saying 'I was watching you on TV'." What is the English Open? The English Open is the second of five events on the IPA Tour, with the Irish Open having taken place in February, and European Open, International Open and British Open set to take place across the rest of the year. The men's professional, men's open and women's titles will all be up for grabs in Bradford this weekend. In the pro ranks, the winner is the first to win eight frames and the open event is a first-to-seven format. The ladies event sees eight groups of four players in a round-robin format, with the group winners progressing through to the knockout stages. Each match is the best of 9 frames. The BBC will bring you live coverage of the IPA World Tour 2 - English Open on the 30th and 31st March on the BBC Sport website and app, Connected TVs and on the BBC iPlayer. You can also catch-up with all the action again shortly after on the BBC iPlayer here. Blackball pool: What do you need to know? Blackball is the official competitive version of pool played in the UK and is used on the IPA Tour. 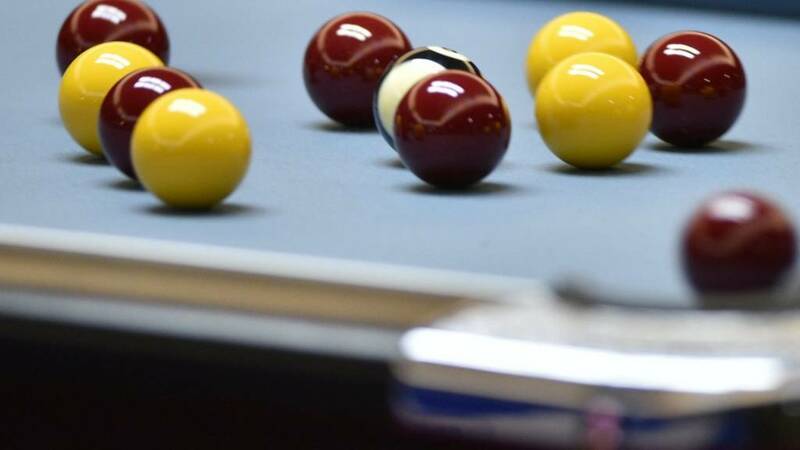 The recognised rules of Blackball are set by the WPA, pool's international governing body, and are designed to be creative and entertaining to watch. Three-point rule: Points are awarded when breaking off - one point per ball that goes fully past an imaginary line between the middle pockets and/or one point per ball legally potted. Failure to reach the three-point minimum is a foul break. 'Skill shot': It's okay to pot your own and your opponent's ball at the same time - this rewards attacking play by 'unblocking' pockets. Fouls: The first shot after any foul is a free visit, but the player then continues with just one shot. With tables regularly found in social spots across the UK, it is easy to enjoy a game of pool with friends. Bigger pockets (in eight ball), shorter cues, fewer balls - pool is certainly an easier sport for beginners to get stuck into than its technical cousins. However, cue ball control, massive amounts of spin and arm power are all needed to master the sport effectively. Blackball (without the bigger pockets) is the official competitive version in this country, run by the International Professional Pool Association.